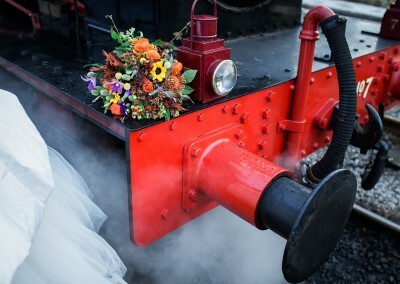 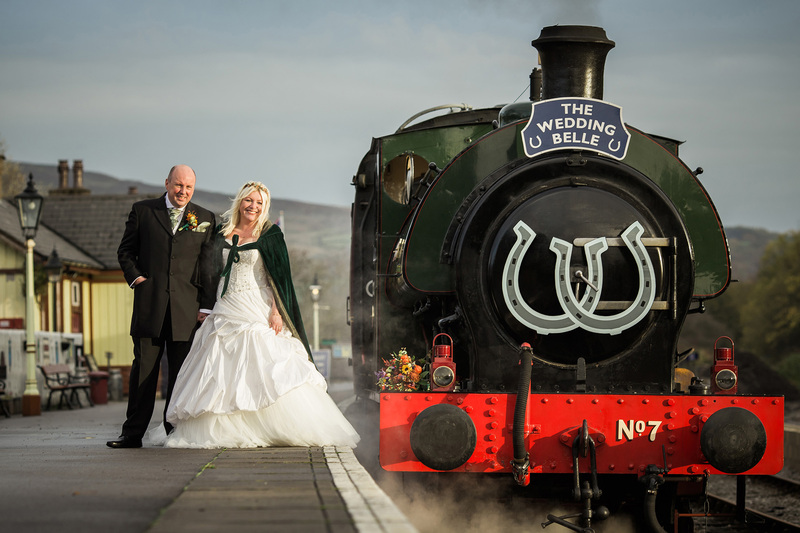 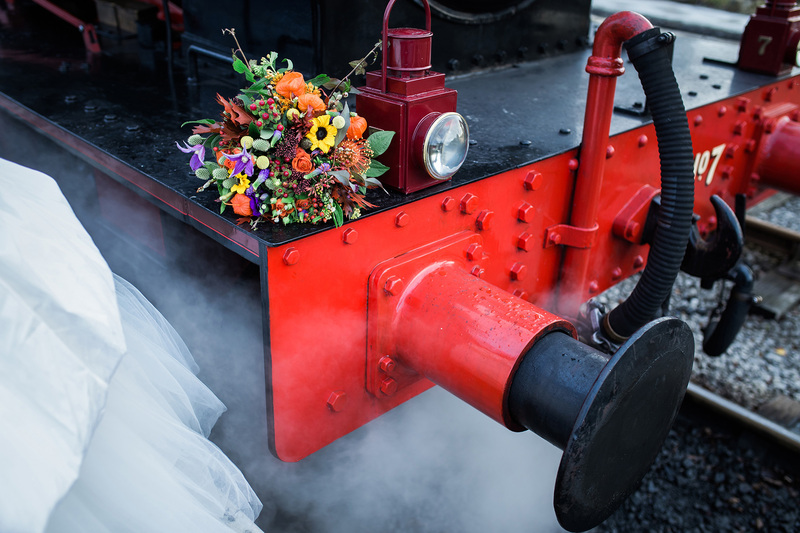 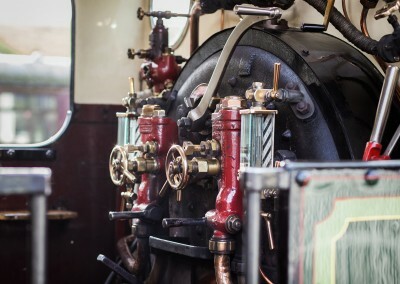 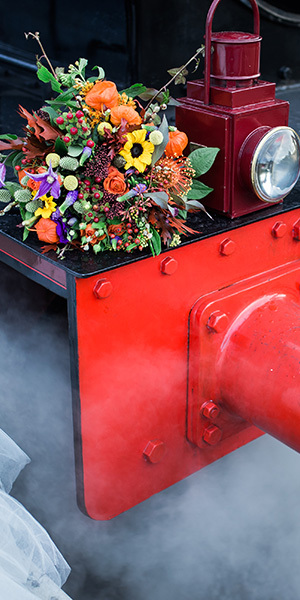 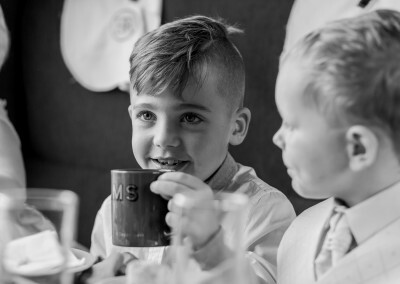 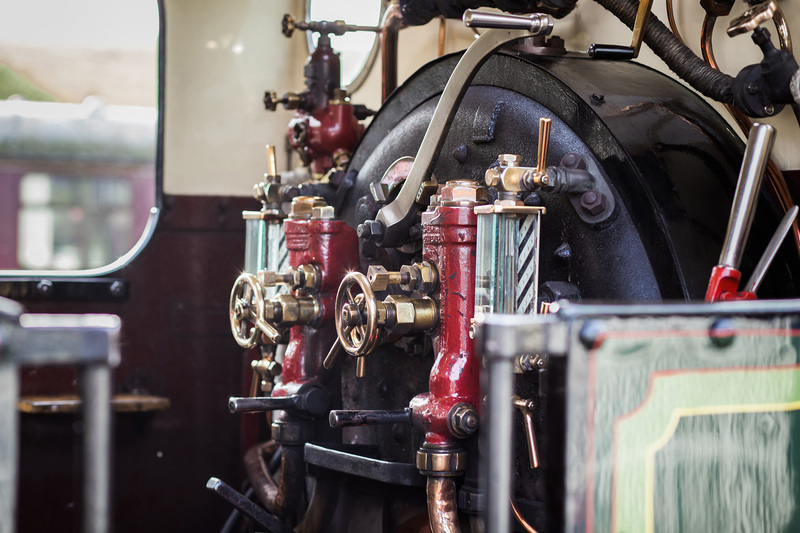 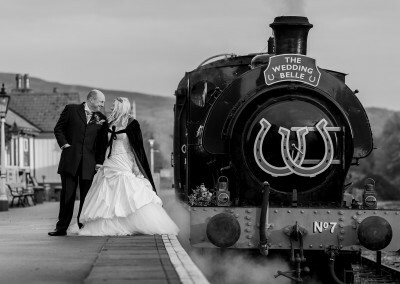 We’ve a wonderful variety of locations, historical steam engines and buildings to provide a spectacular backdrop for your wedding, set amongst the natural beauty of the Yorkshire Dales. 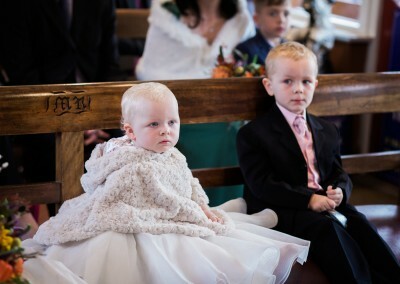 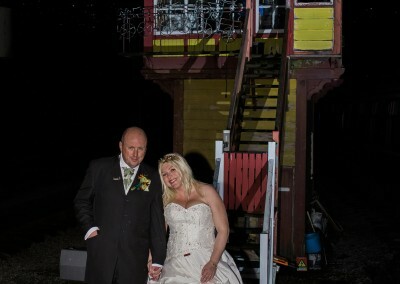 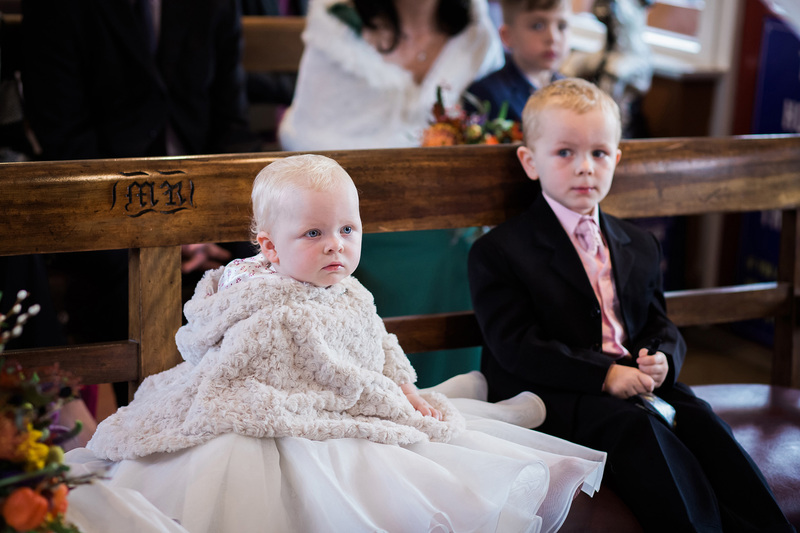 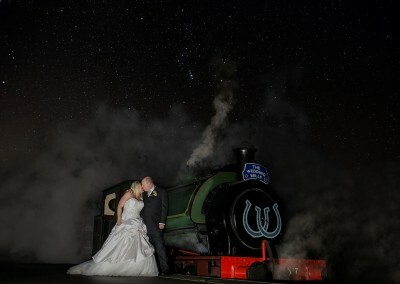 Here we feature Stephen & Rachel’s recent wedding. 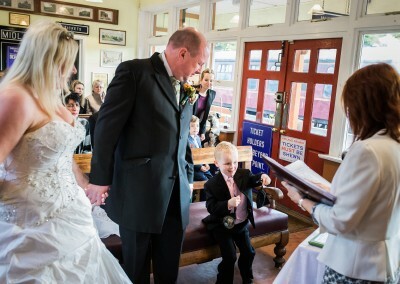 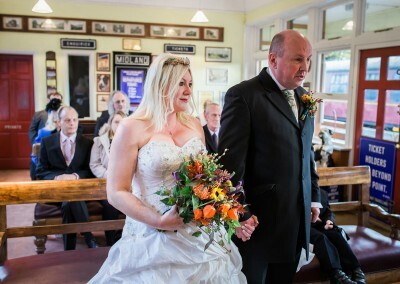 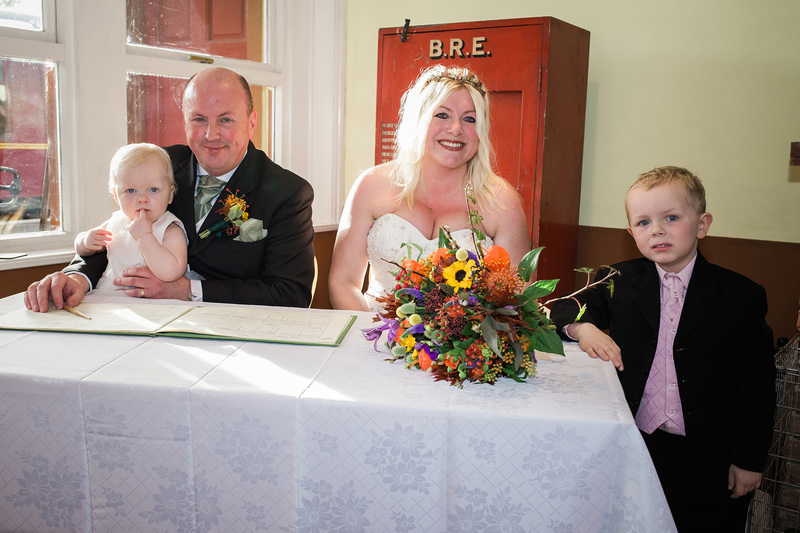 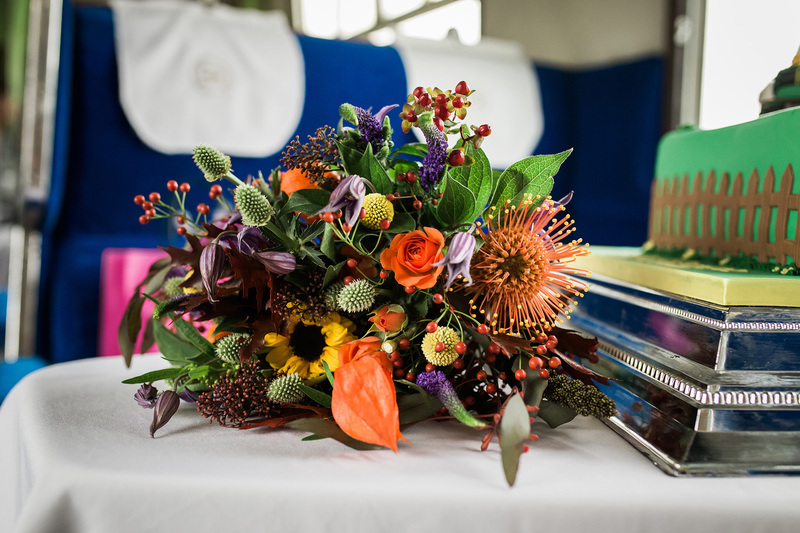 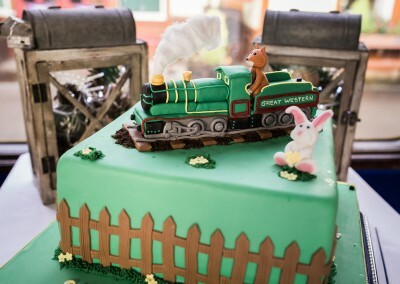 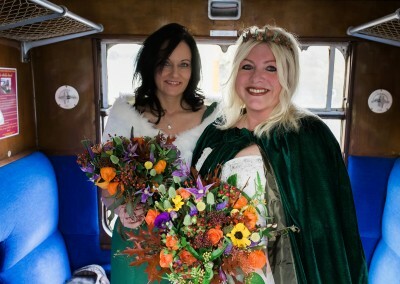 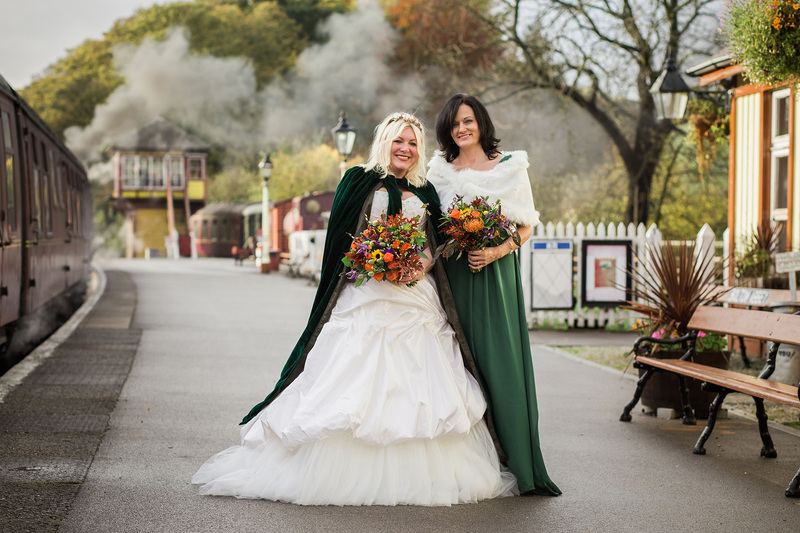 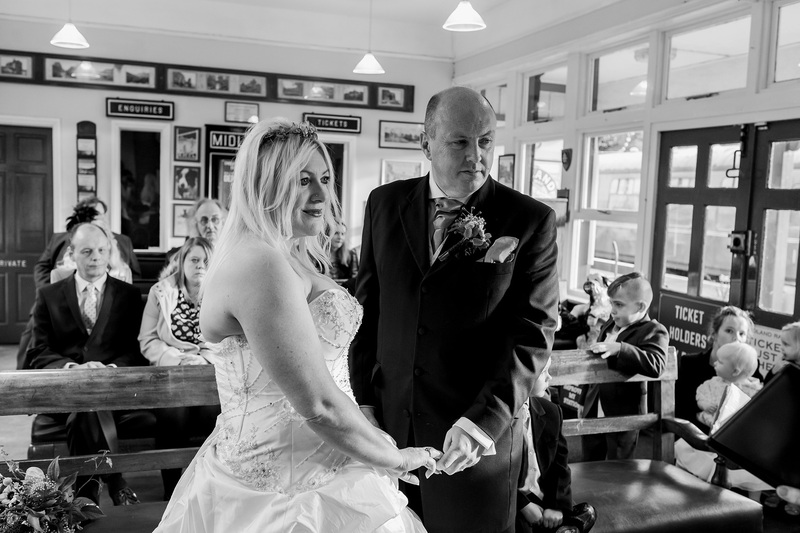 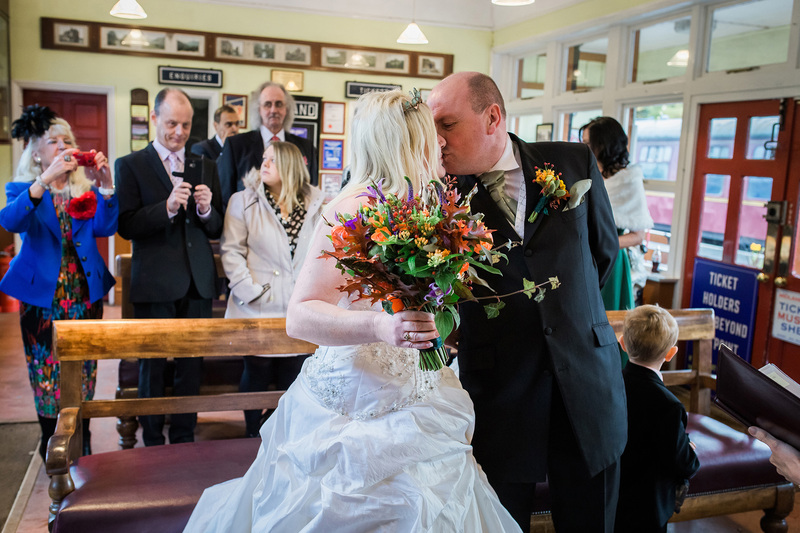 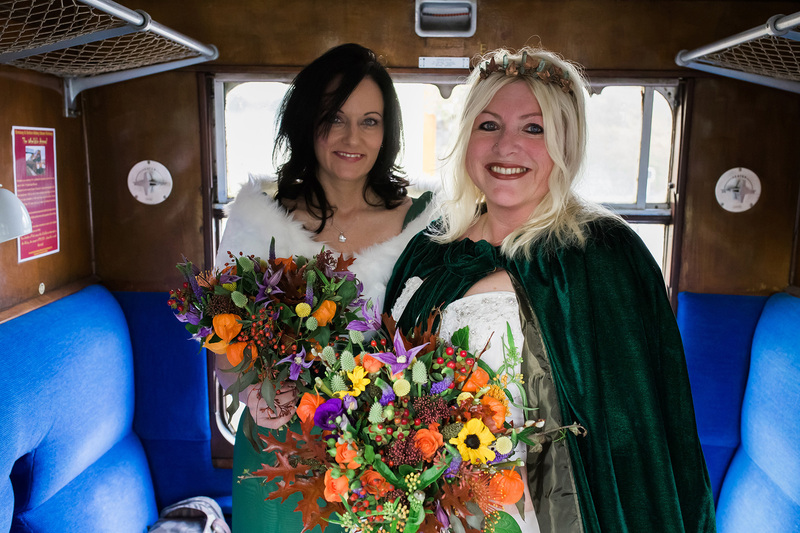 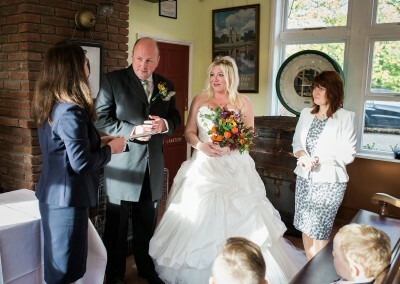 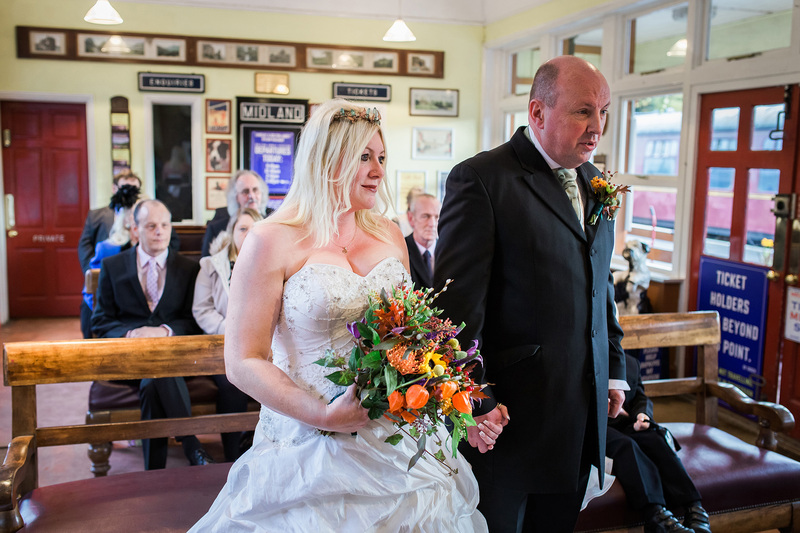 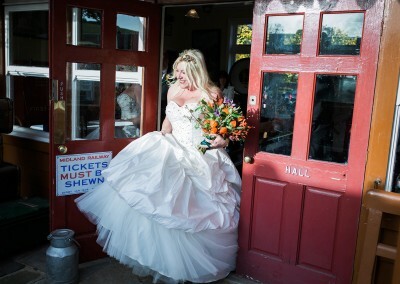 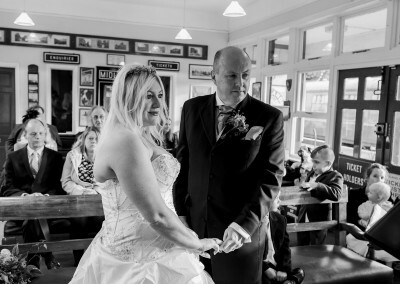 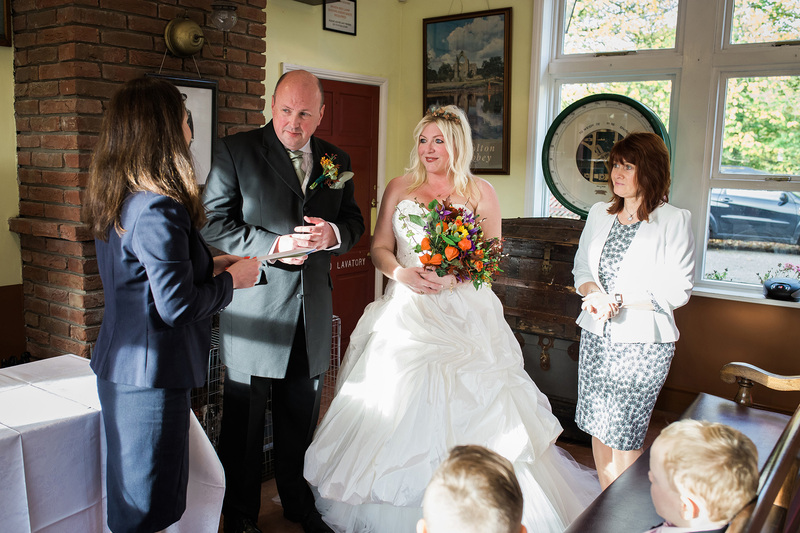 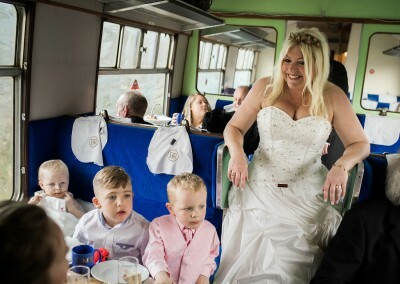 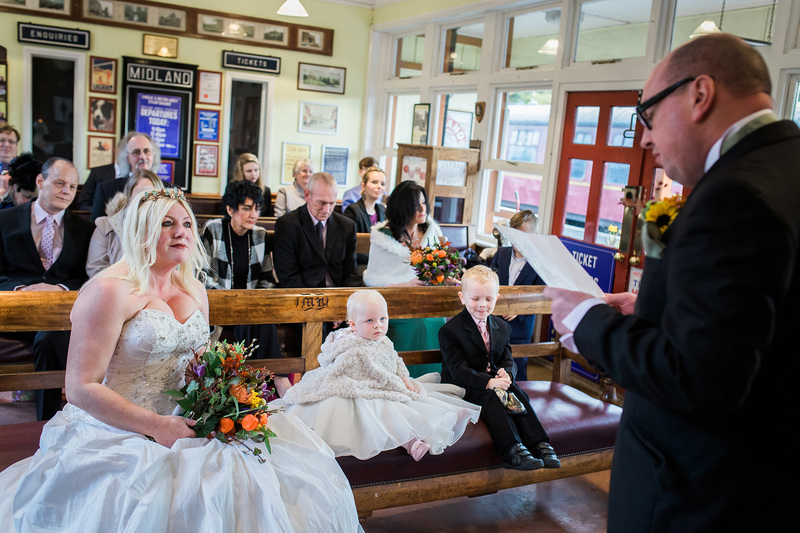 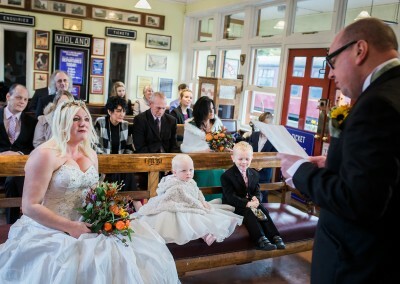 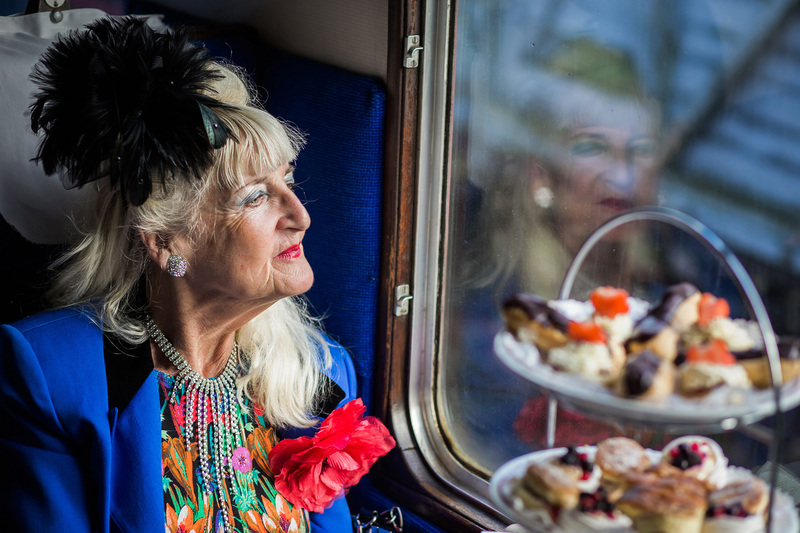 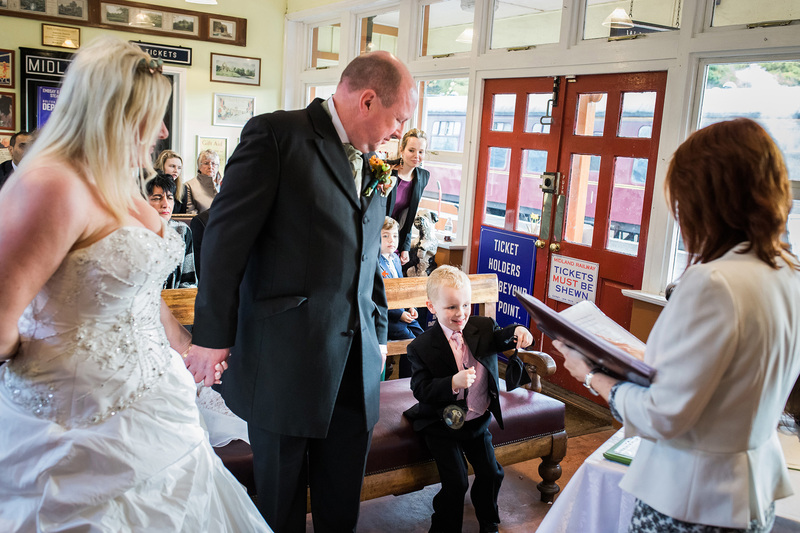 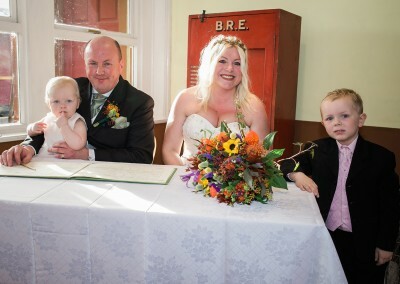 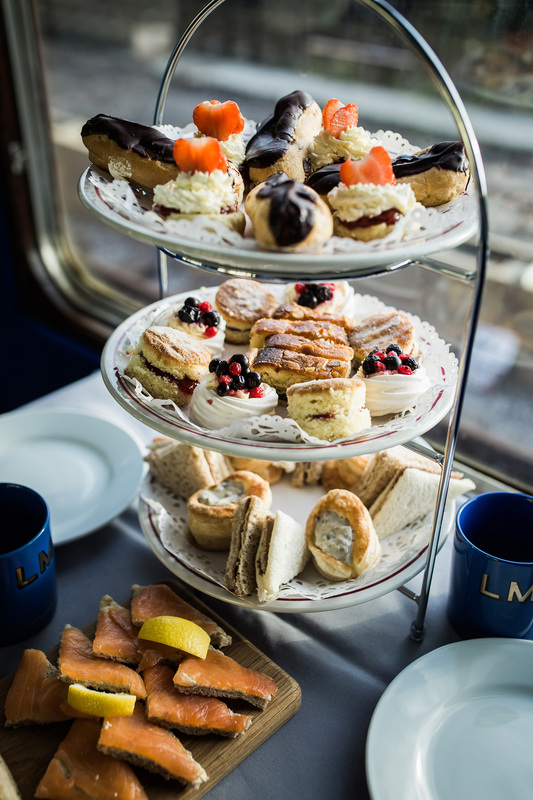 The ceremony was held in the booking hall, the Bride arrived at the ceremony by steam train, and the whole wedding party travelled the line and dined in style! 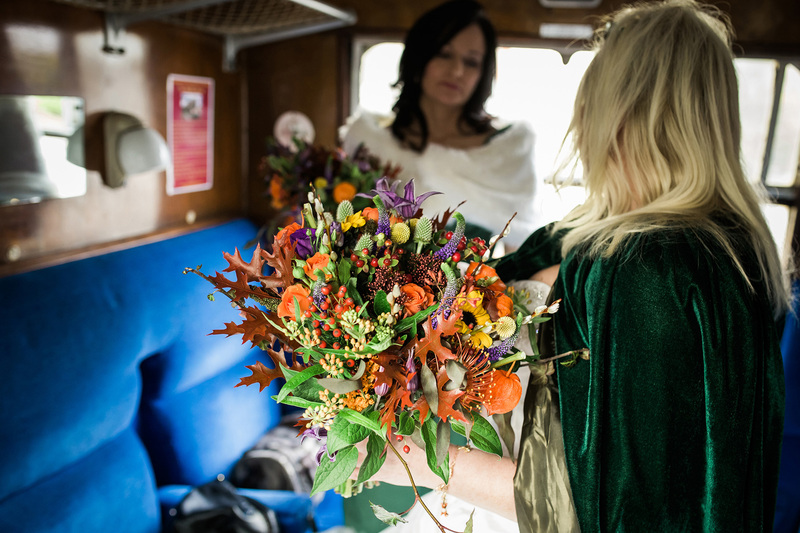 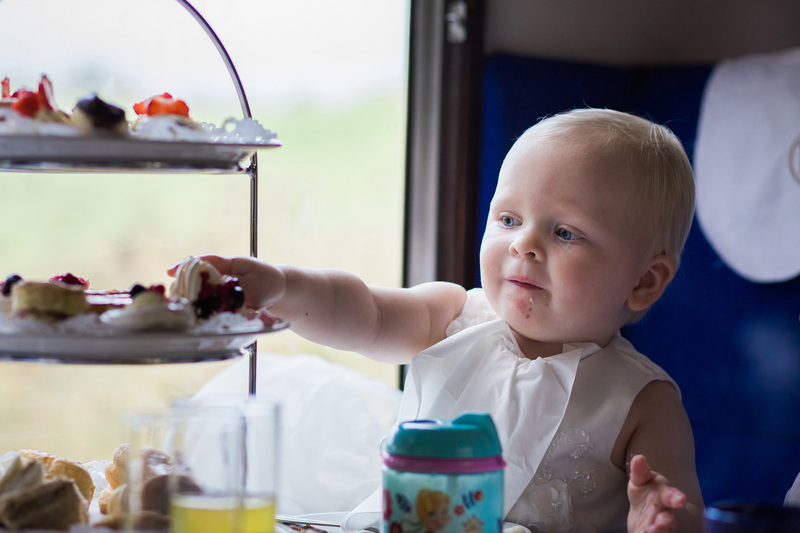 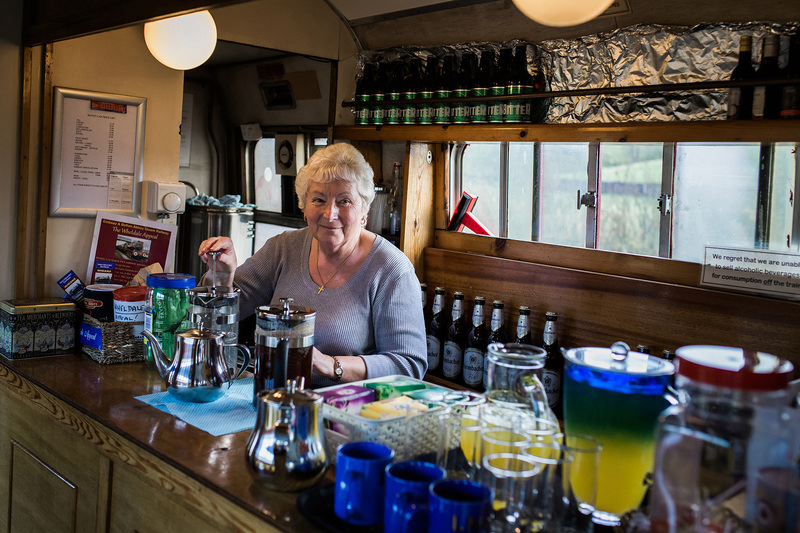 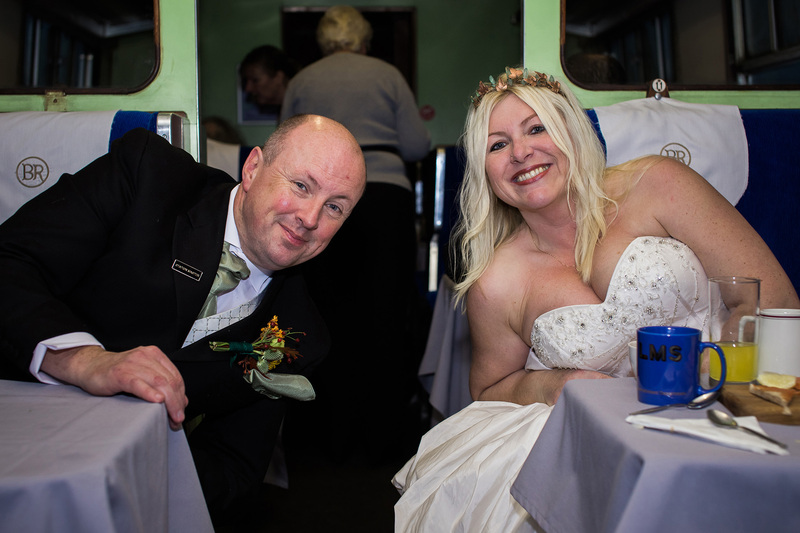 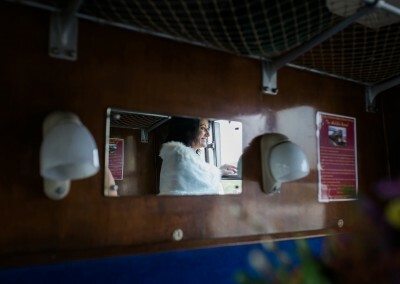 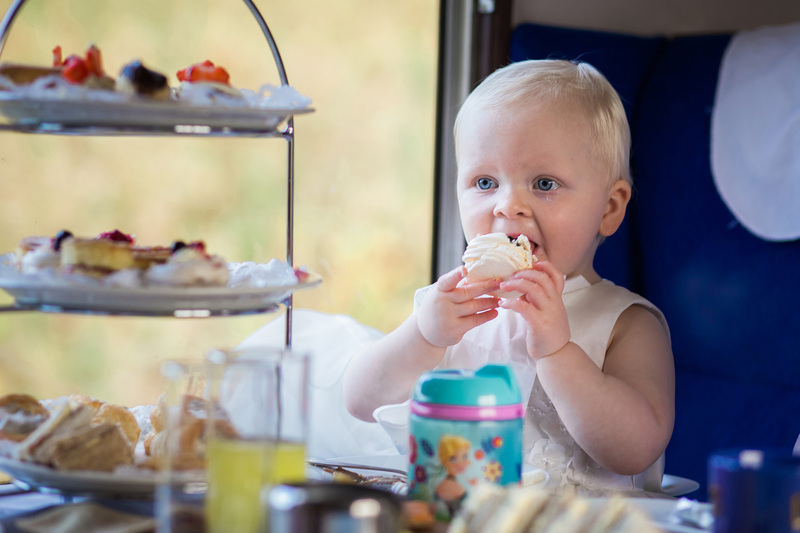 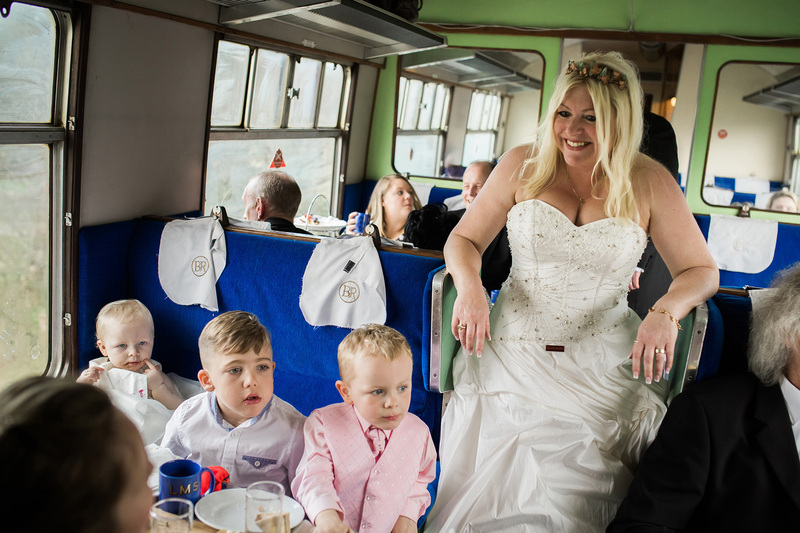 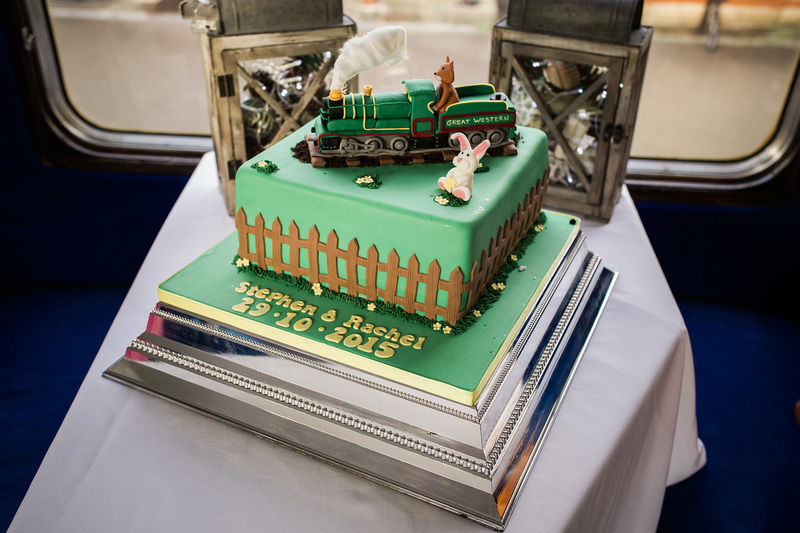 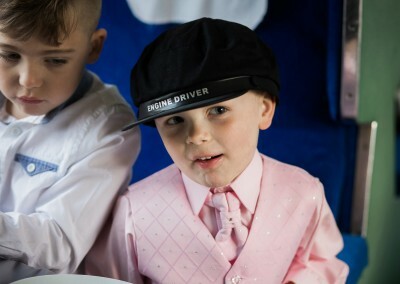 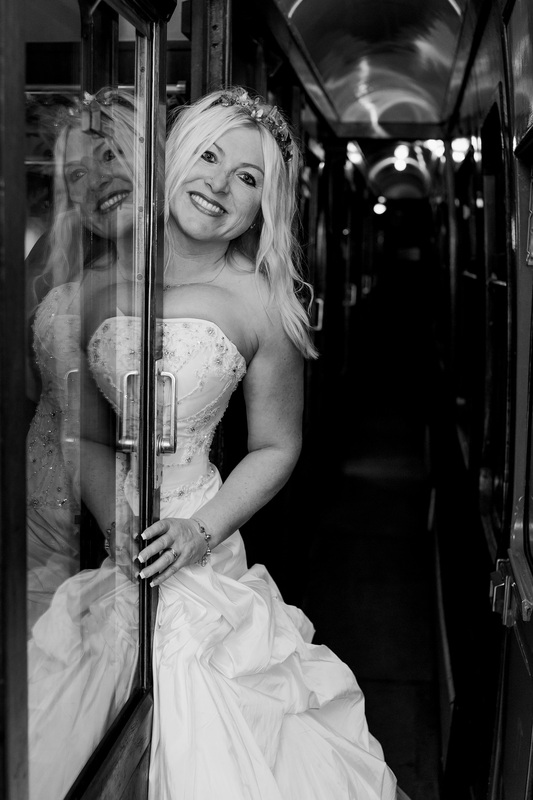 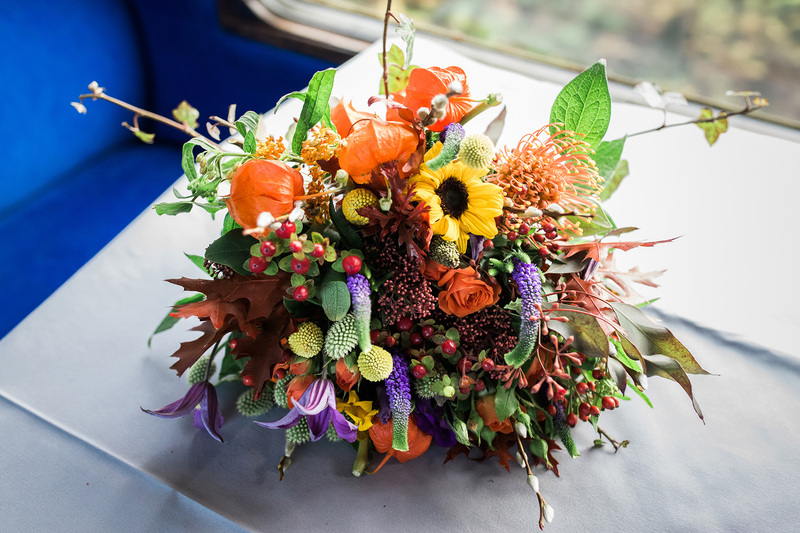 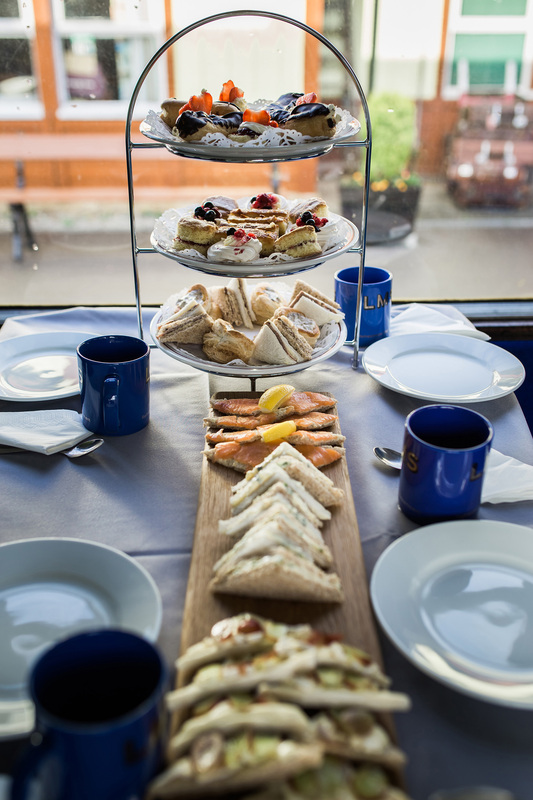 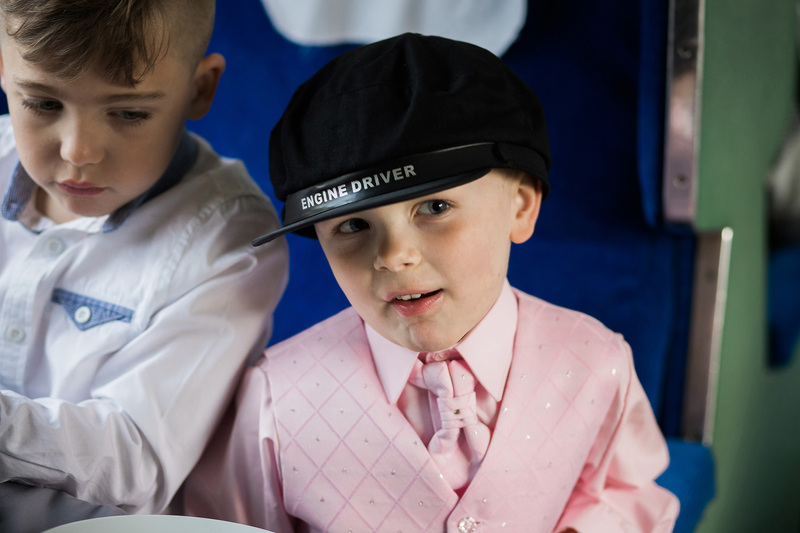 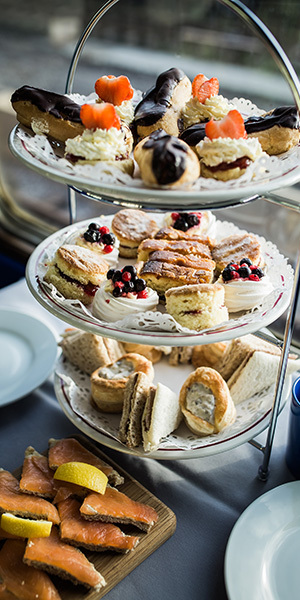 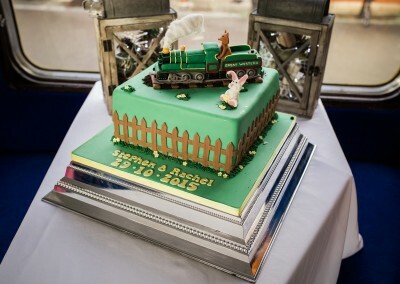 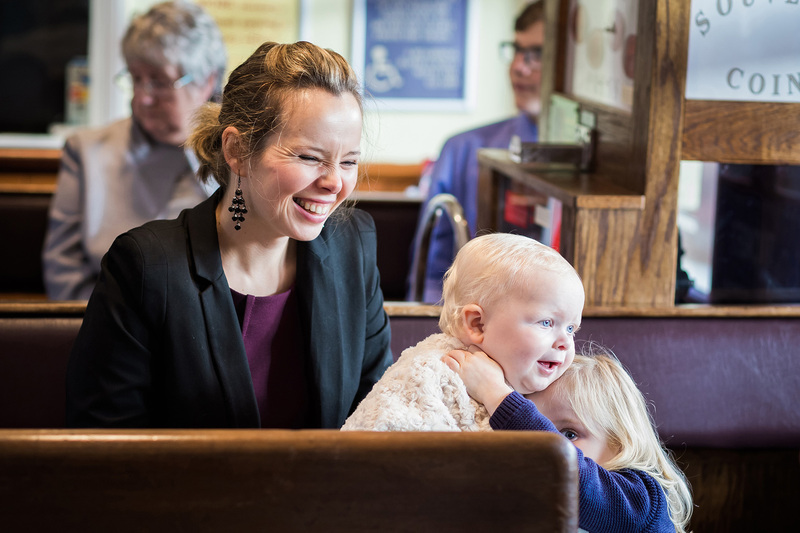 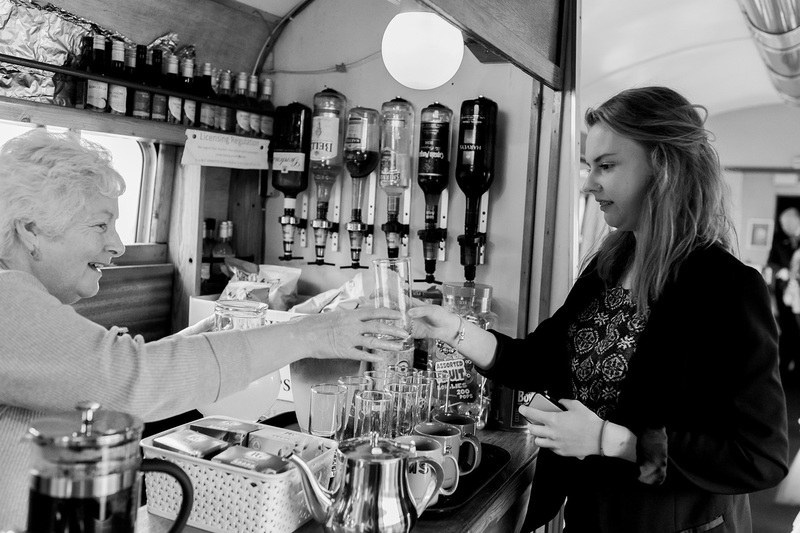 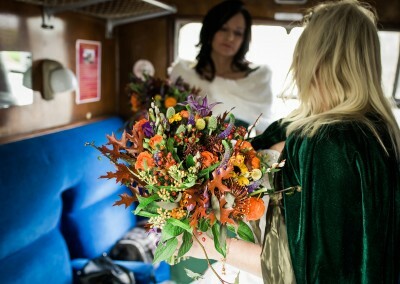 For this wedding, the Bride & Groom selected our historic Mark 1 coaches; this enabled the whole wedding party to mingle and were able to make use of our Buffet Car. 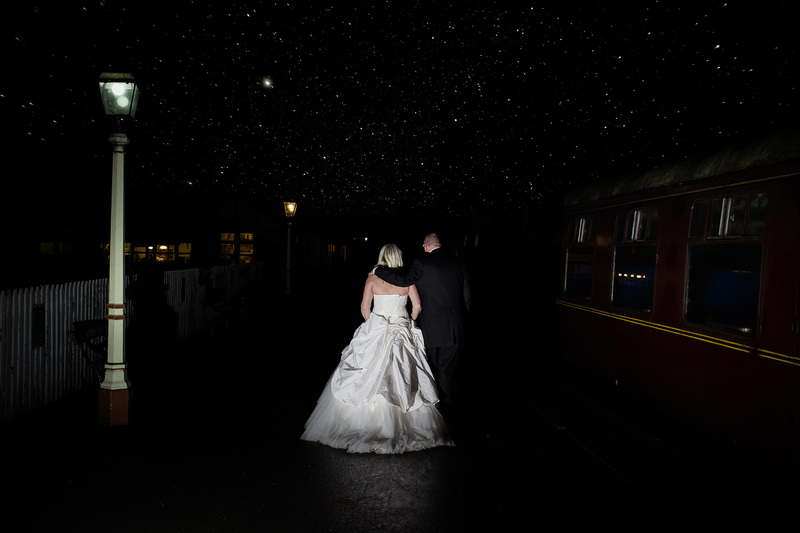 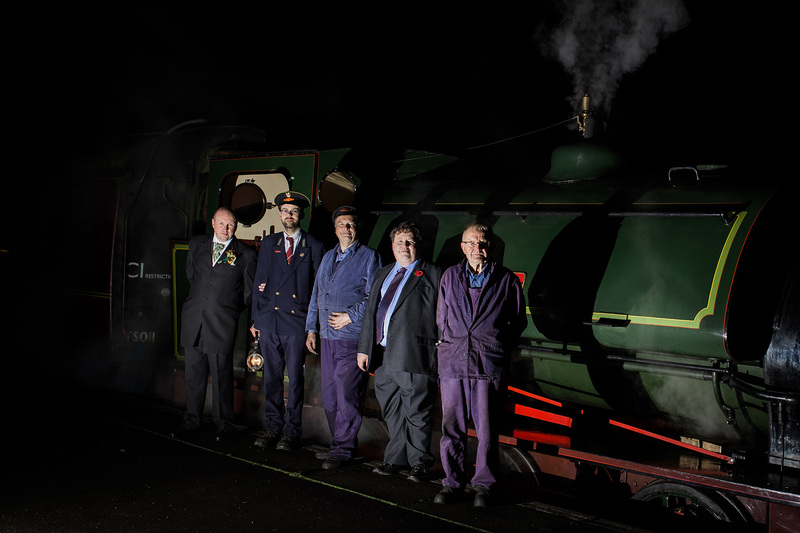 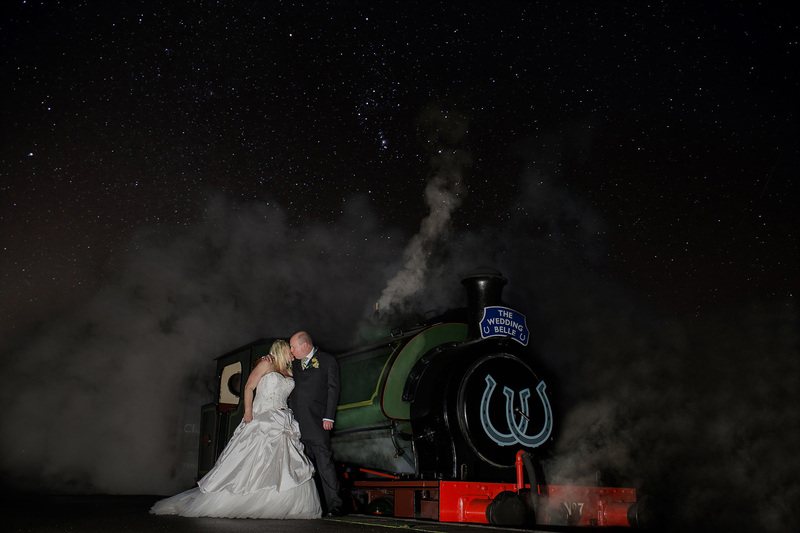 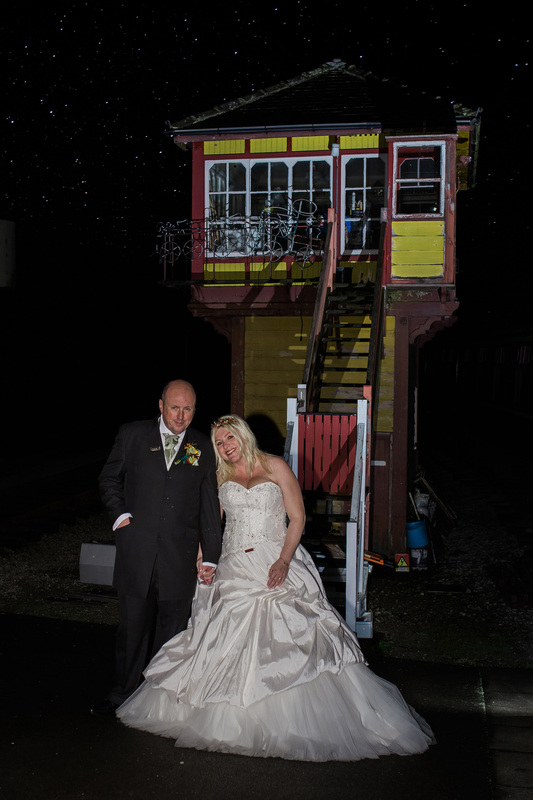 Towards the end of a memorable day, the Bride and Groom participated in a photo shoot under the wide, starry Yorkshire sky – with spectacular results of steam, stars and love! 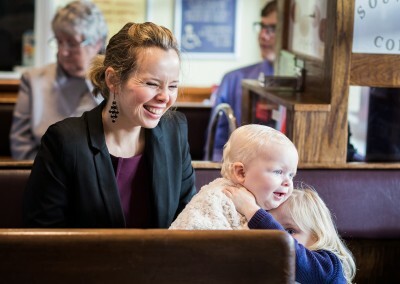 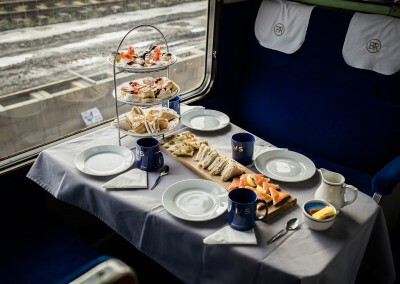 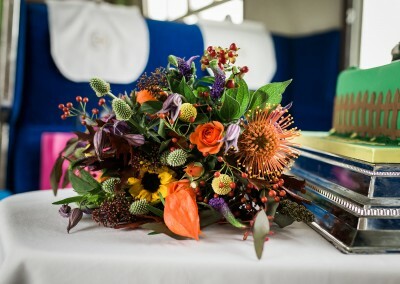 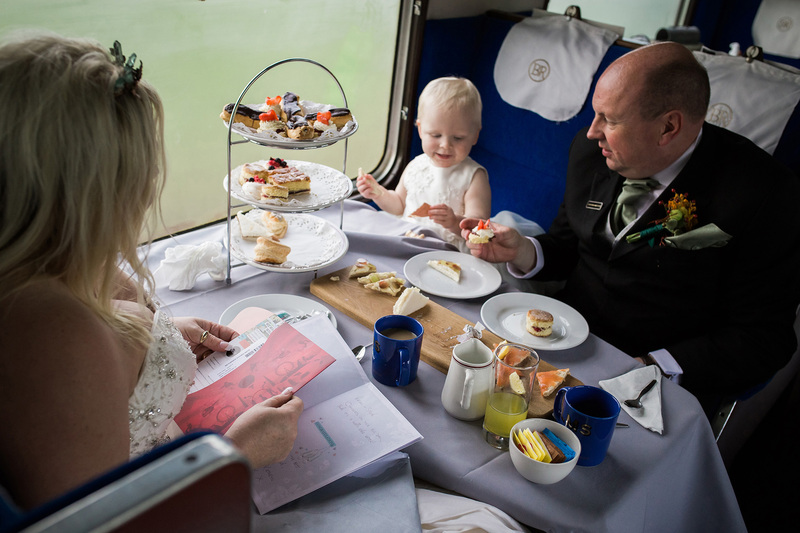 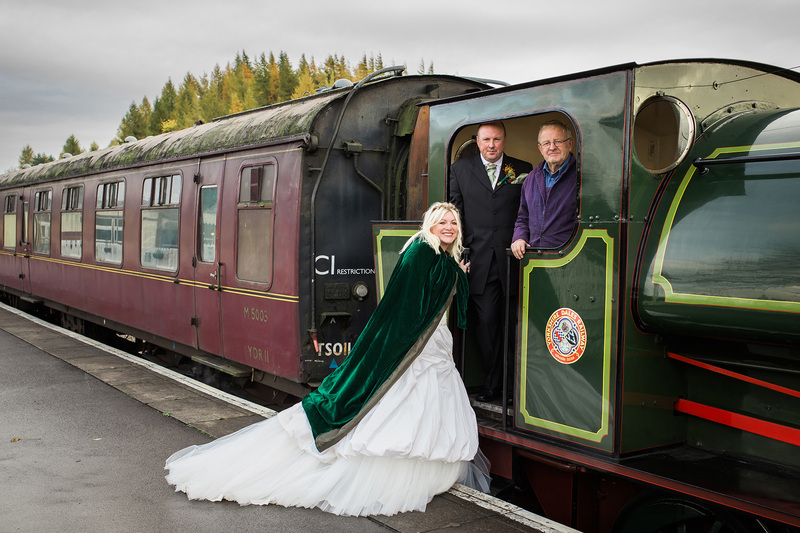 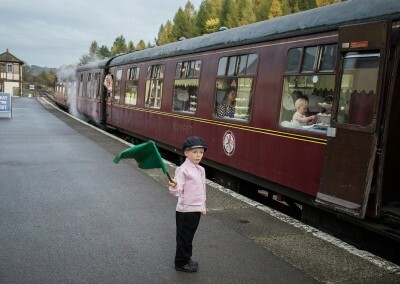 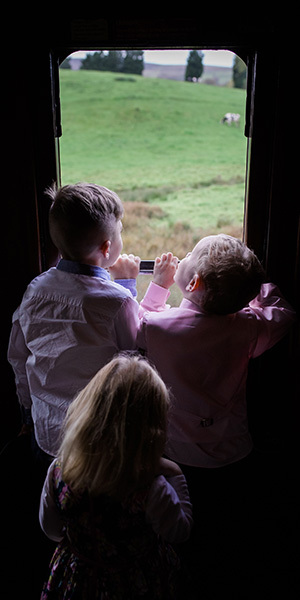 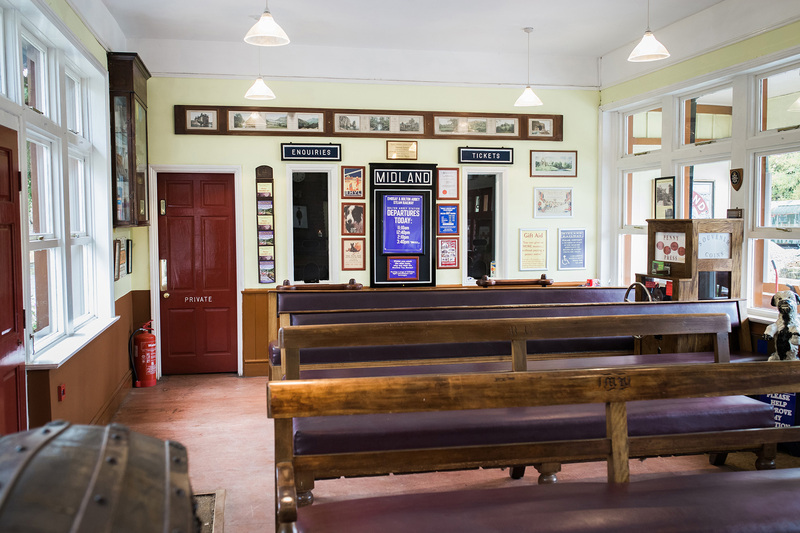 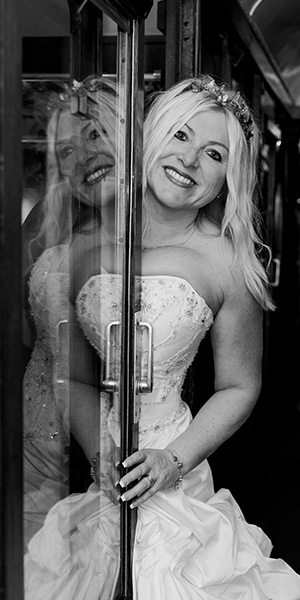 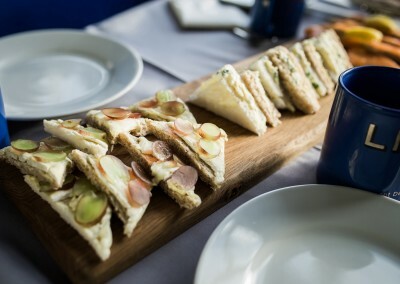 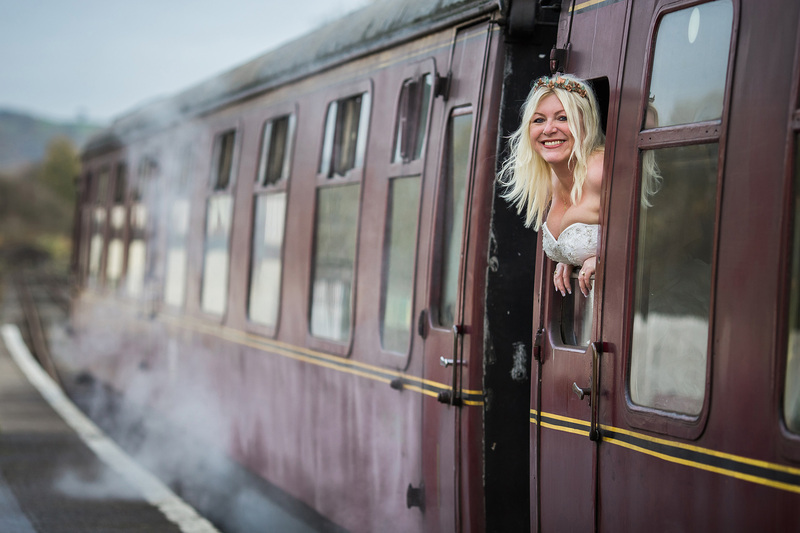 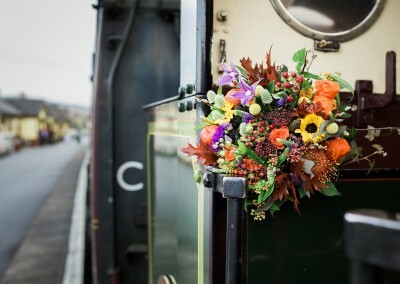 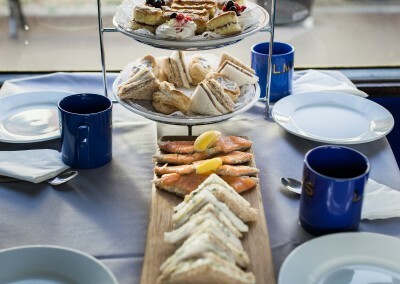 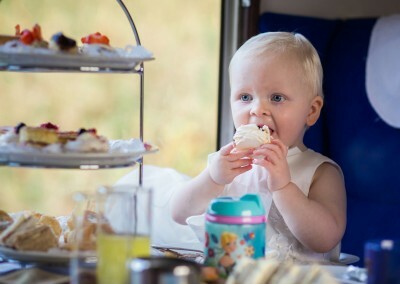 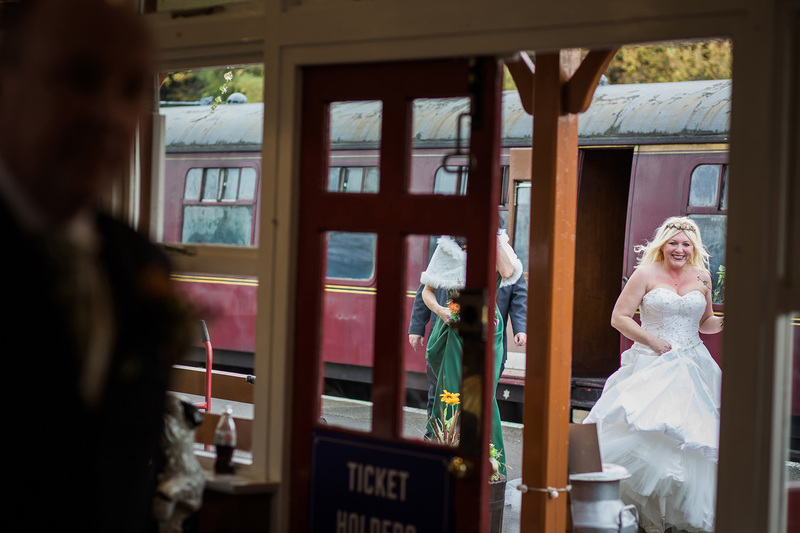 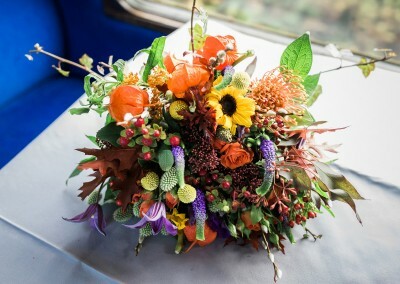 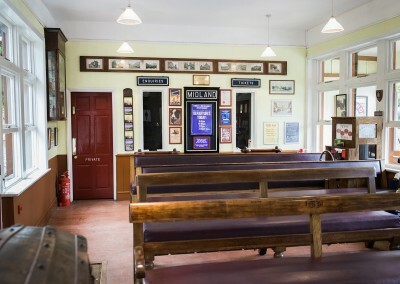 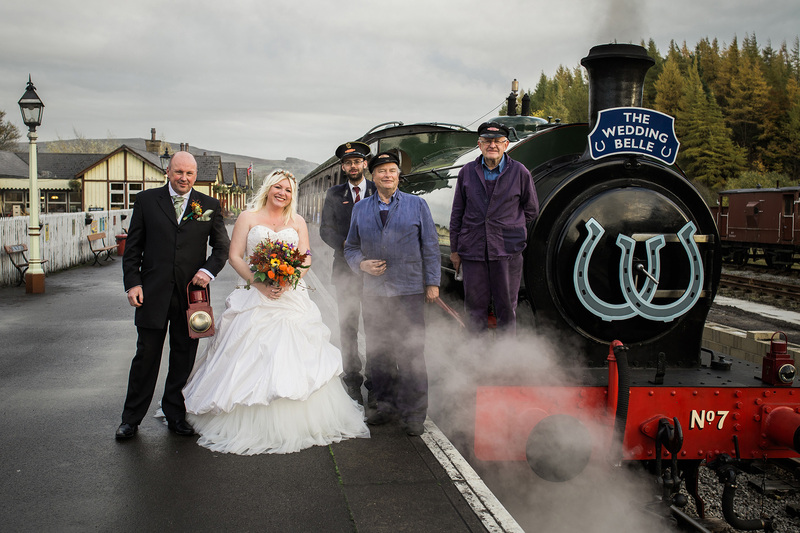 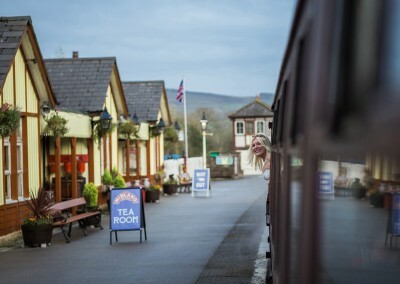 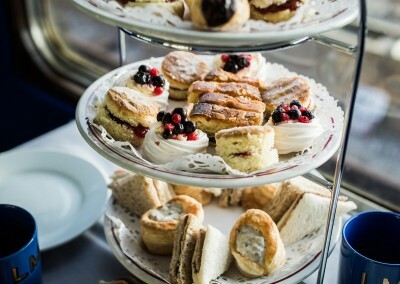 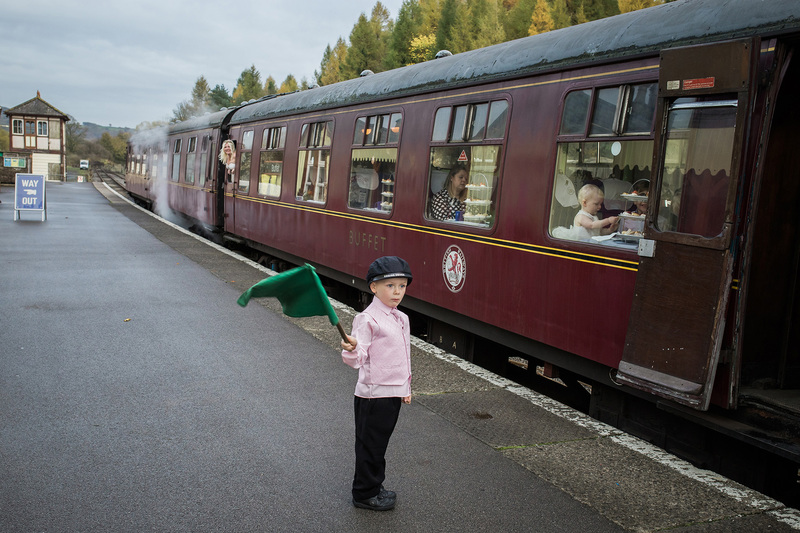 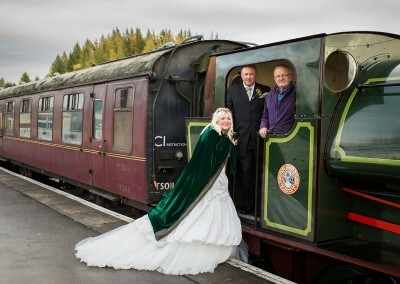 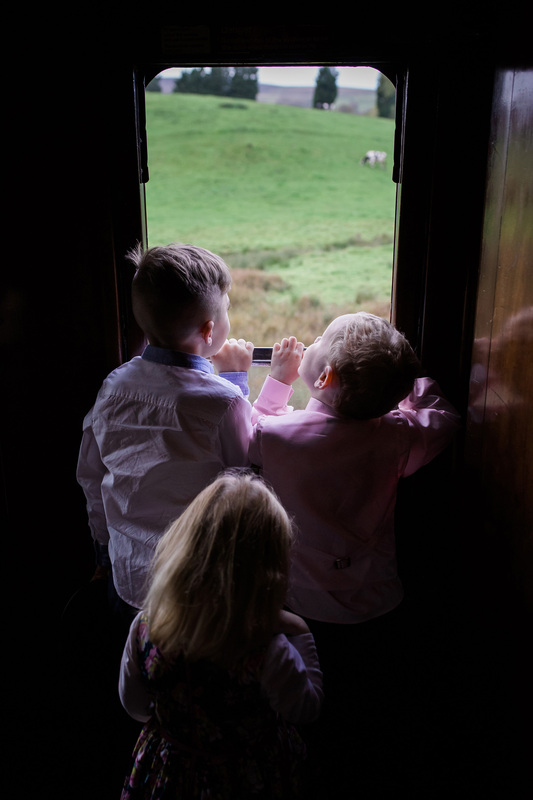 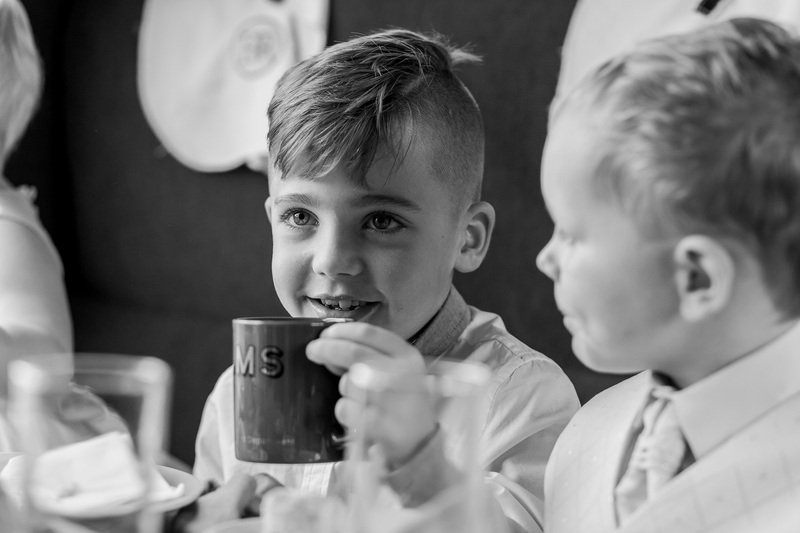 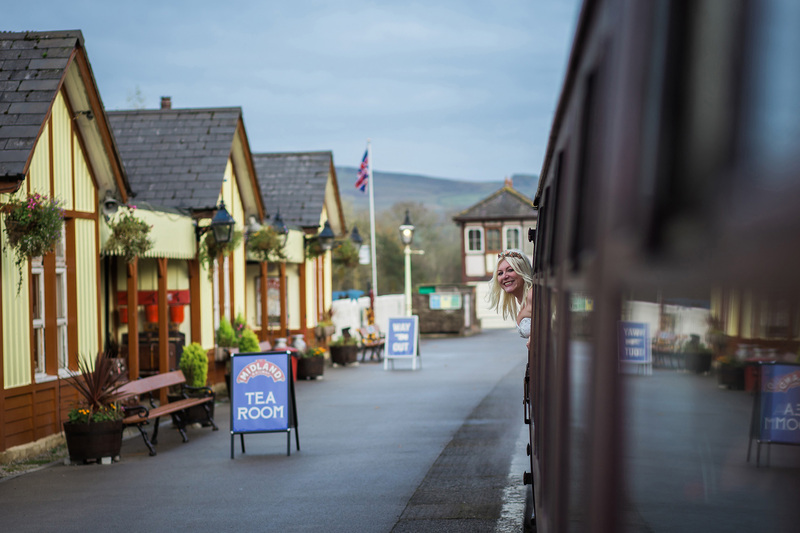 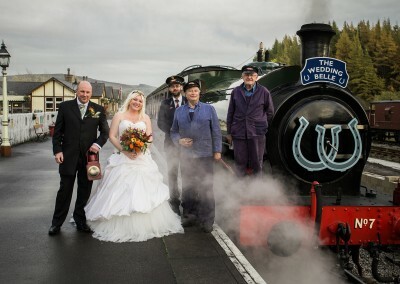 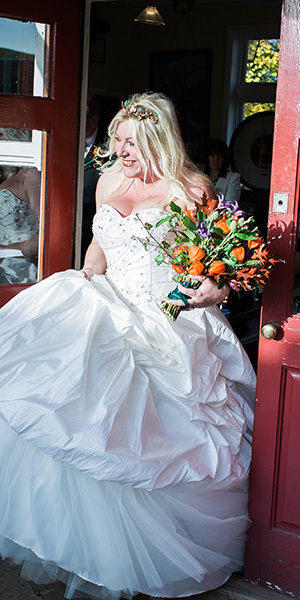 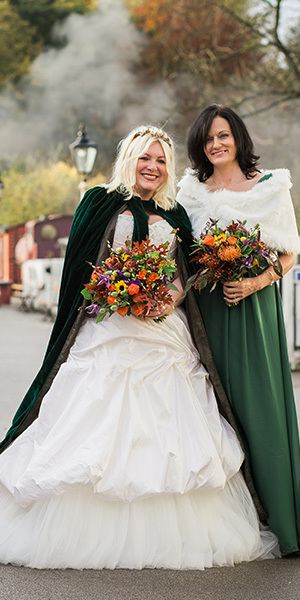 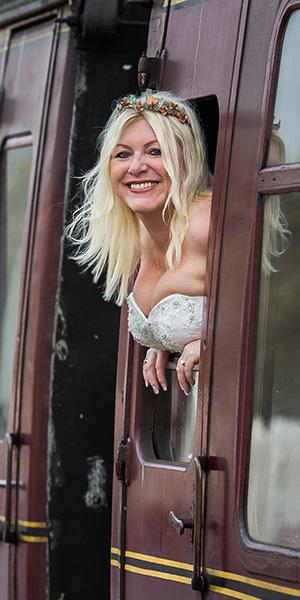 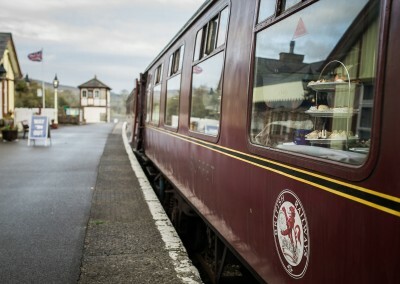 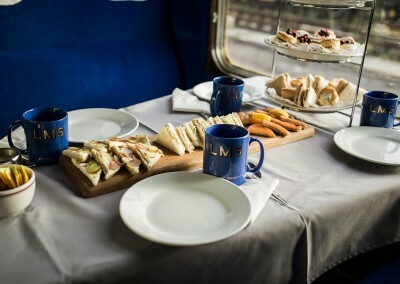 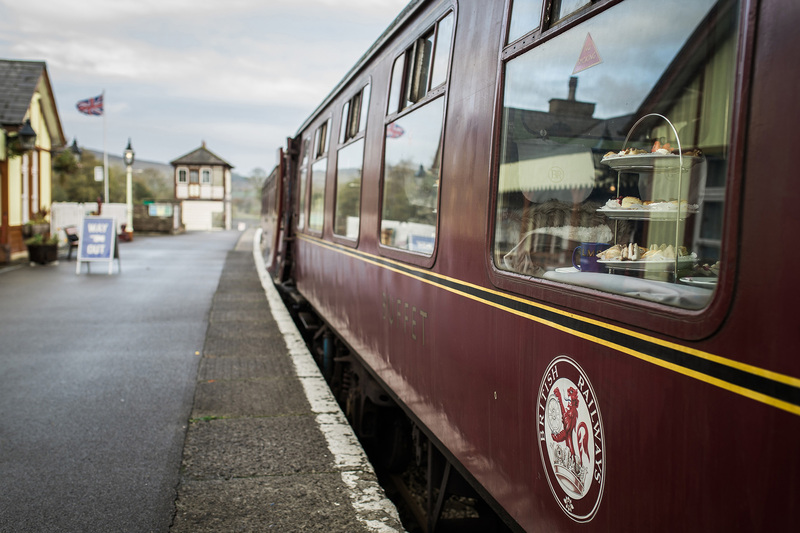 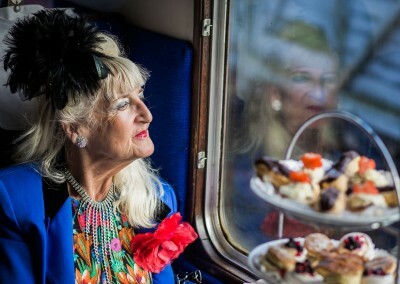 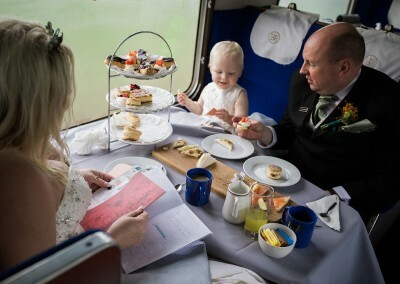 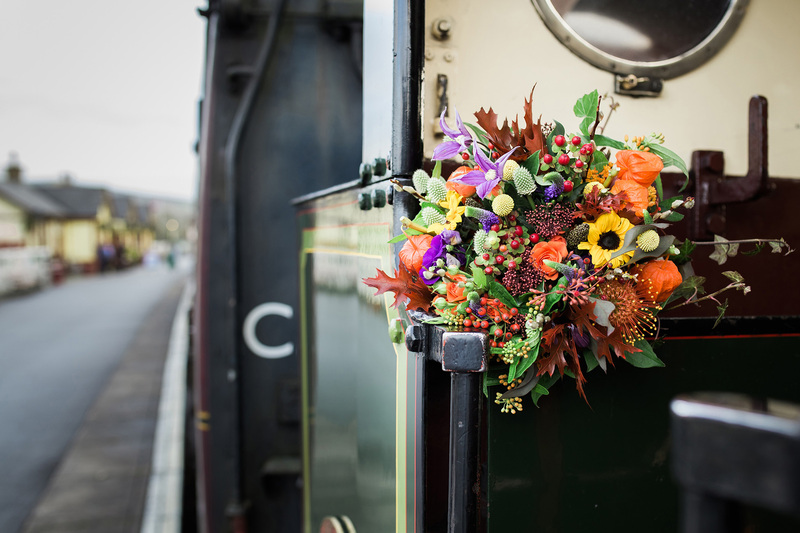 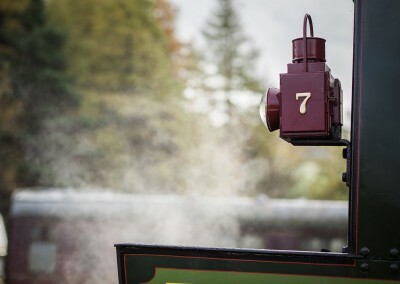 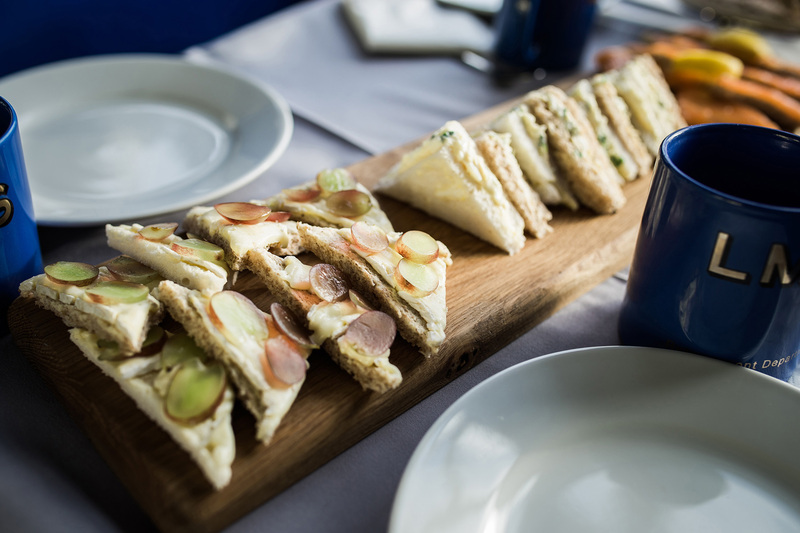 Browse the photographs to get a flavour of what is possible for your wedding at Bolton Abbey Station – but remember, each wedding we do is unique and will be tailored to your individual wishes! 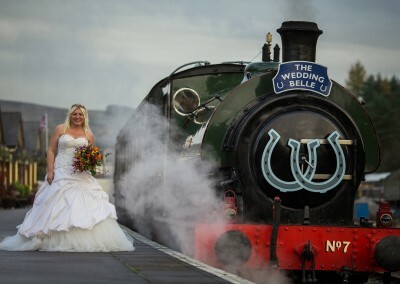 Back to the WEDDINGS page. 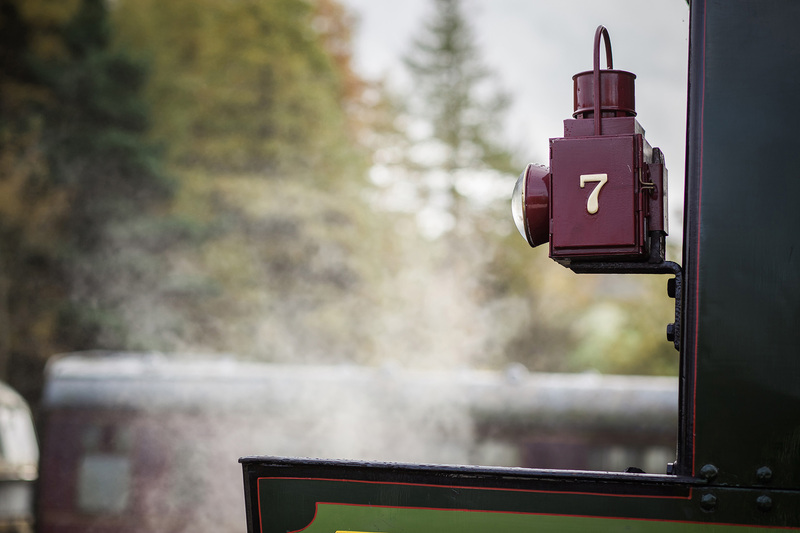 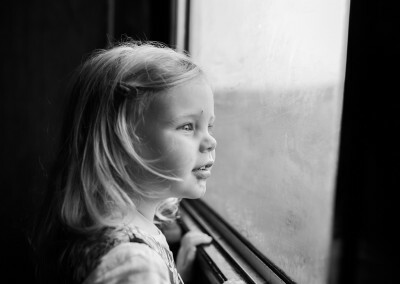 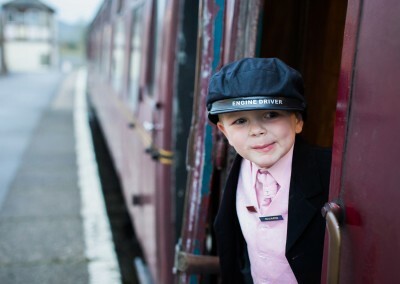 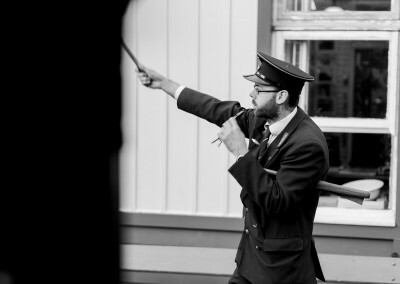 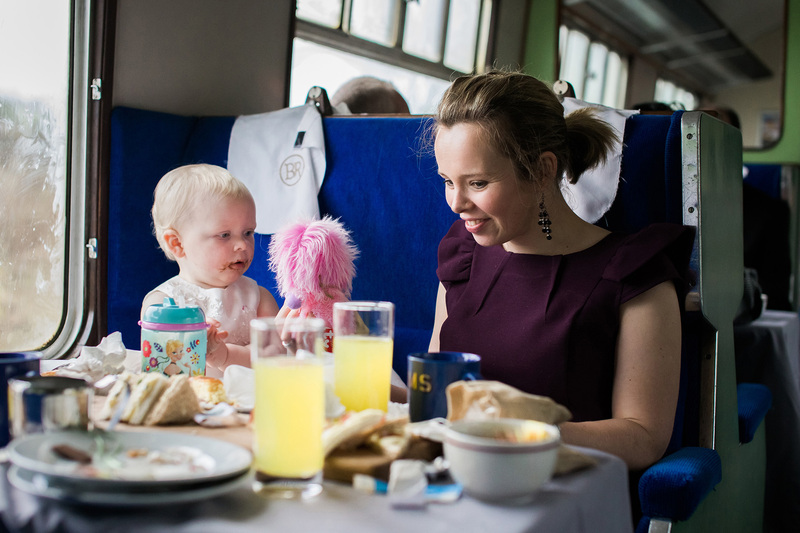 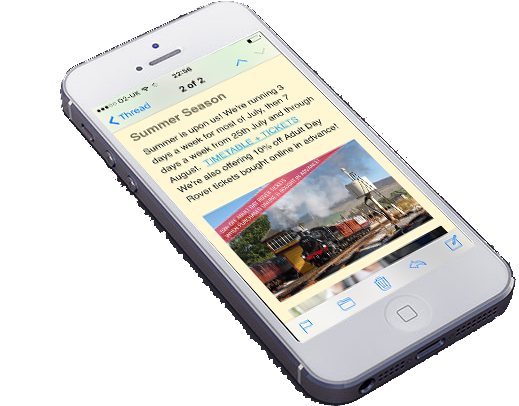 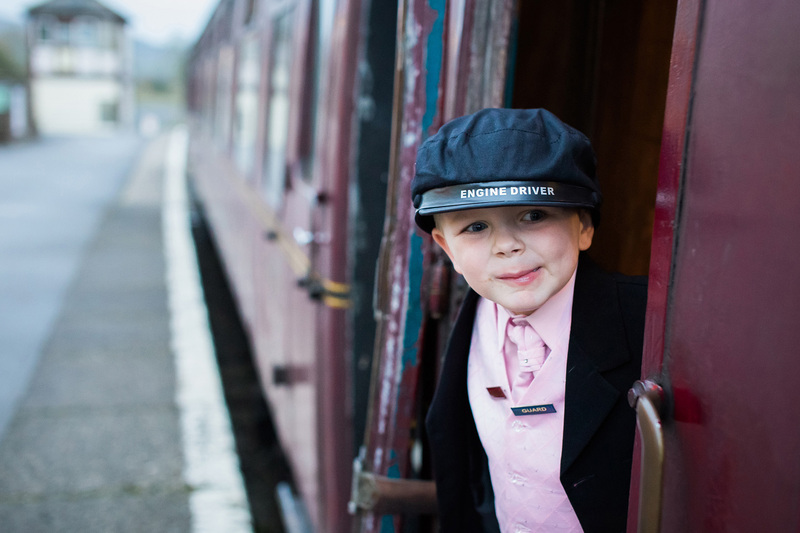 We'll send you occasional newsletters with news, events and special offers from the railway. 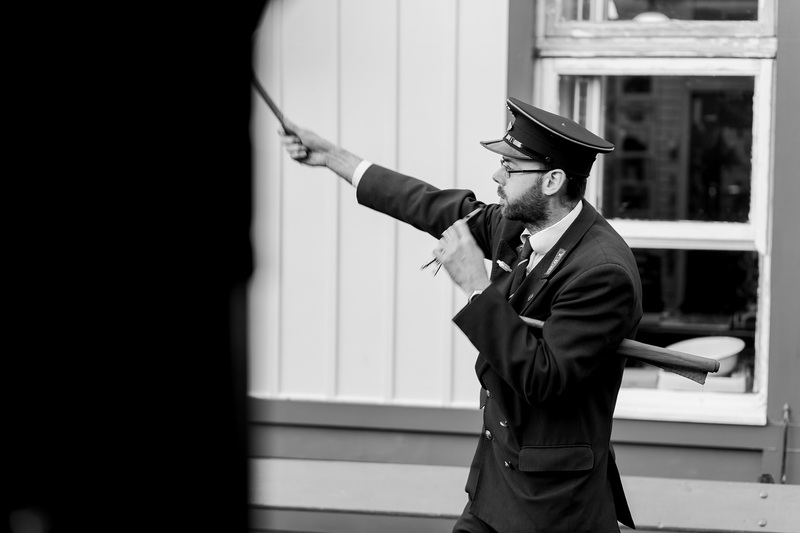 We'll never spam you, nor pass your email to third parties. 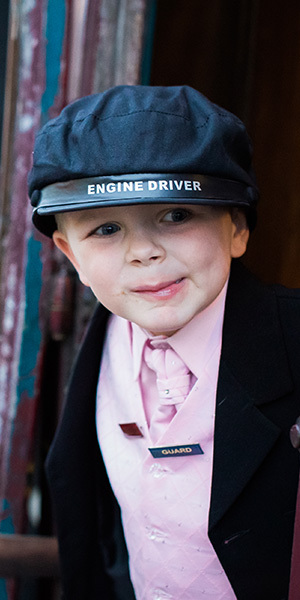 Unsubscribe at any time.